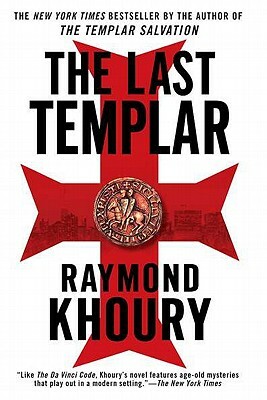 The first thrilling novel in Raymond Khoury’s New York Times bestselling Templar series. In 1291, a young Templar knight flees the fallen holy land in a hail of fire and flashing sword, setting out to sea with a mysterious chest entrusted to him by the Order's dying grand master. The ship vanishes without a trace. In present day Manhattan, four masked horsemen dressed as Templar Knights stage a bloody raid on the Metropolitan Museum of Art during an exhibit of Vatican treasures. Emerging with a strange geared device, they disappear into the night. The investigation that follows draws archaeologist Tess Chaykin and FBI agent Sean Reilly into the dark, hidden history of the crusading knights—and into a deadly game of cat and mouse with ruthless killers—as they race across three continents to recover the lost secret of the Templars. Raymond Khoury is the New York Times bestselling author of The Last Templar, The Sanctuary, The Sign, The Templar Salvation, The Devil’s Elixir, Rasputin's Shadow, and The End Game. His novels have been translated into more than forty languages and, in the case of The Last Templar, adapted into a comic book and an NBC television miniseries. An acclaimed screenwriter and producer for both television and film, he has also penned several scripts for BBC series such as Spooks and Waking the Dead.